The cold weather is approaching. 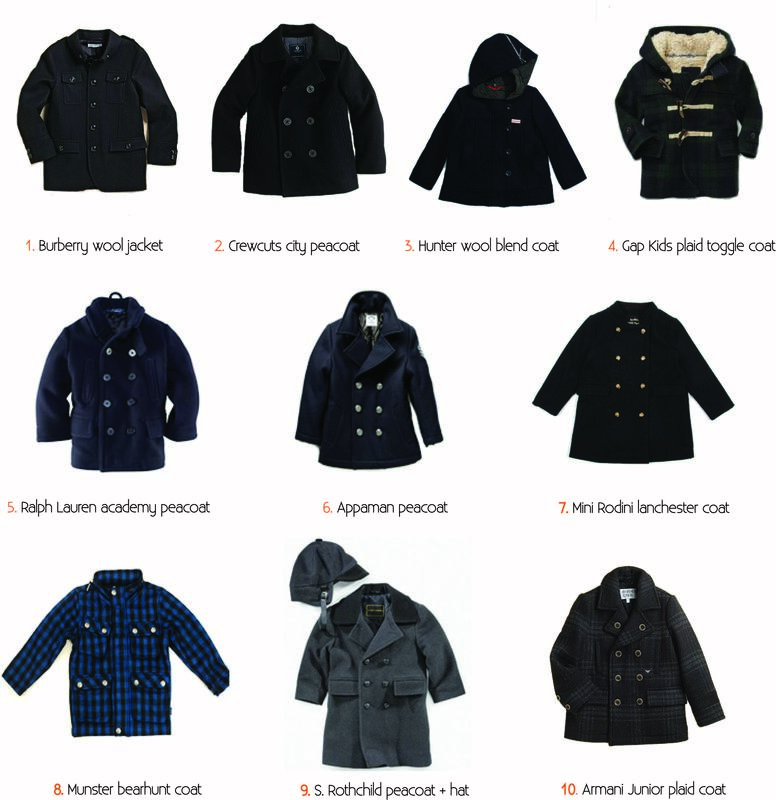 Keep you little ones warm while still looking fabulous in this winter’s fashionable selection of coats. Little Style Finder scoured the web for all shapes and styles from the top designers to budget fashion buys. Which style is right for your little boy? This entry was posted in kids fashion, style and tagged Appaman, Armani Junior, boys coats, Burberry, Gap (clothing retailer), Gap Kids, JCrew Crewcuts, mini rodini, munster kids, Ralph Lauren, Rothschild, Weather, Winter, winter coats by Little Style Finder. Bookmark the permalink.